80Pcs fishing rod guide in different sizes. With stainless steel frame and wear-resistant ceramic ring, sturdy and durable. Packed in a plastic box, easy to store and transport. 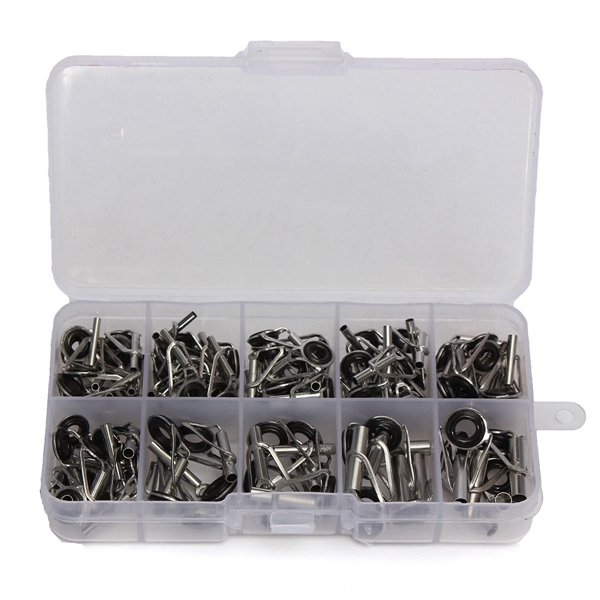 80Pcs Fishing Rod Guide Guides Tip Set Repair it DIY Eye Rings Different Size Stainless Steel Frames with Fish Box.